Artificial minds are growing faster than ever before, and they're not slowing down. When it came to artificial intelligence (AI), 2016 was a year of notable firsts: Tesla’s autopilot predicted a car crash, Alexa was subpoenaed, the White House took notice of the subject, and Google’s AlphaGo beat the reigning European Go champion. But 2016 is gone and buried and 2017 is promising even greater advances in AI as the technology further infiltrates our lives and colonizes new frontiers of endeavor. 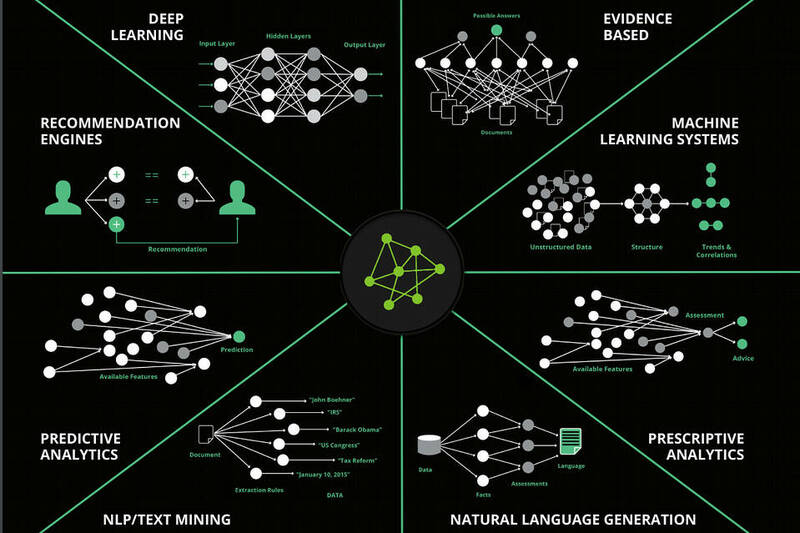 Here’s some of what we can expect for artificial intelligence in the year ahead. 2016 saw the growth of more consumer-oriented AI. Alexa, Siri, and Cortana—among many others—now come standard in our handy personal devices, and Amazon even open-sourced Alexa for developers. Look for 2017 to be the year when AI begins to be a commonplace in some apps, and also expect the other major tech companies to follow Amazon’s lead in opening up their AI systems to outside development. With this more collaborative approach to the evolution of AI, we may finally begin to see the personalization of artificial intelligence, and a great proliferation of new AI programs with idiosyncratic personalities, temperaments, and even intellectual outlooks. Trying to hold a conversation with Siri or Alexa is like watching two people in the same canoe paddling in opposite directions—it just ain’t goin’ anywhere. For one thing, neither have much a sense of humor; furthermore, these robotic ladies just lack that wonted je ne sais quoi we expect in our intellectual sparring partners—they’re dull, frankly, and haven’t really got much to say. But in 2017, that’s all about to change. “In 2017 there will be a chatbot that passes the Turing test, exhibiting responses so human-like that an average person wouldn’t be able to tell if it’s human or machine,” forecasts Jim McHugh, Vice President and General Manager at NVIDIA. Such extraordinary capabilities will be the natural sequel to the new advances in machine learning, natural language processing, and pattern recognition that will finally beget more empathic and intuitive AI programs. “In the coming year, we will see advances that are used to endow systems with new human-centered qualities, including more natural, fluid conversation—that can address several topics or needs in one ongoing interaction, and deeper understanding of human values and intentions, such as recognizing the commitments we make to others in our email and text messaging,” observes Eric Horvitz, Technical Fellow and Managing Director at Microsoft Research. Very soon now, you’ll really be able to have that deep, meaningful conversation with Alexa that you always wanted. According to the big brains at Ovum, “machine learning will be the biggest disruptor for big data analytics in 2017.” They’ve got a point, too—a damn good one. Deep learning and neural networks have shown remarkable promise, even holding out the hope that they might point the way toward achieving some sort of serviceable, human-like machine intelligence—not a terrible surprise, since their mechanism mimics the layered cognitive processing employed by the human brain. And in 2017, we can expect even greater strides in machine learning, as massive upgrades to parallel processing power enable the networks to crunch ever-larger blocks of data. “Generative adversarial networks” (GANs) are the next big thing in machine learning—essentially dual networks, one that learns from datasets and another that distinguishes between real and fake data. So look for our machines to become better learners in 2017, as AI approaches its “terrible twos” and begins to cognitively mature. And that seems to be the general consensus about what the New Year holds for artificial intelligence. Not a mystical singularity; not the sudden “awakening” of an inchoate machine mind—inhuman, alien, perhaps even malevolent or at least antipathetic to all we hold dear. That’s a fantasy—the reality will be far more prosaic. If AI is taken to mean the evolution of tools that act in concert with their makers, and are instilled with a limited, almost instinctual awareness, then we seem to be well on the way toward building a world in which our machines are active partners in the business of life. So don’t look for the coming of Skynet or HAL 9000 in 2017—nothing so dramatic as all that. For now, baby steps—incremental steps toward a world in which our very tools are endowed with the same sort of sensory and reactive faculties that are found throughout the living world. Now, as for 2018… that’s a different story altogether.